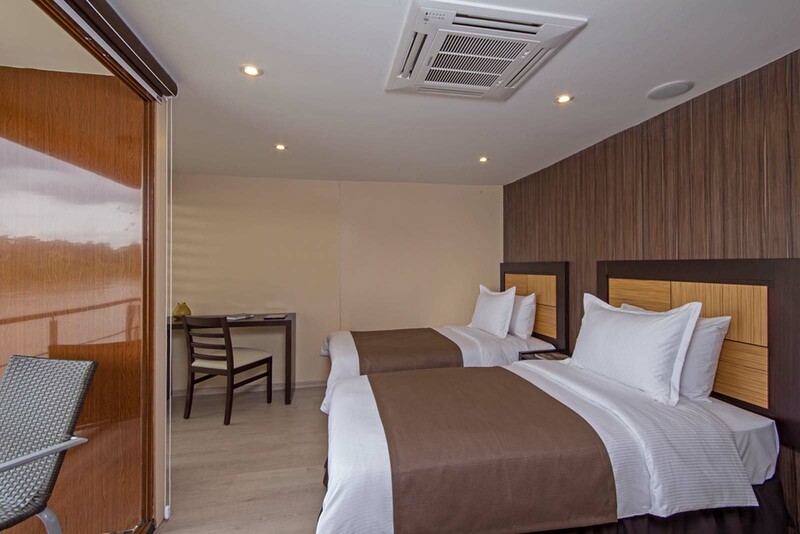 The luxury M/V Anakonda offers a perfect combination of nature and nurture in one of the world’s most remote, bio-diverse regions, the Ecuador Amazon Rainforest. Here you visit with indigenous Amazonians, see parrots close-up at a clay-lick and spend time in and around Yasuni National Park, Ecuador’s largest protected tract of rainforest. 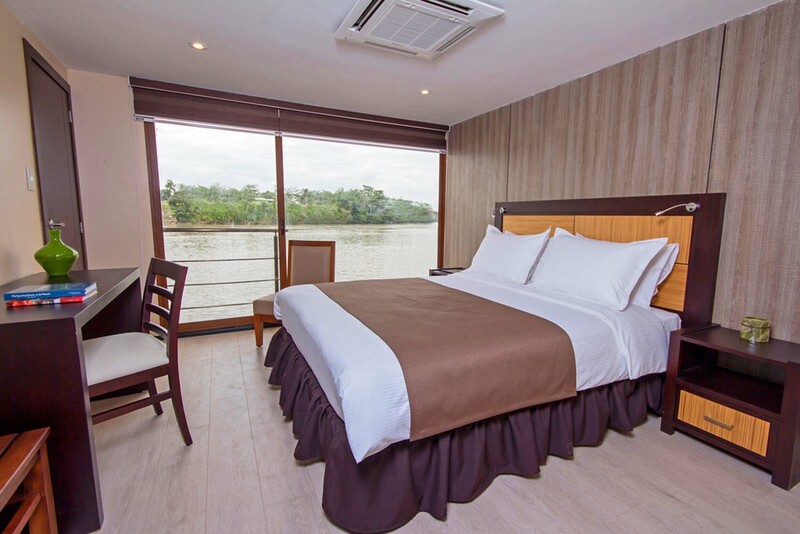 Accommodating forty passengers, this luxury Amazon River vessel offers suites with ample sitting areas, panoramic windows, private balconies, Wi-Fi and comfortable beds. 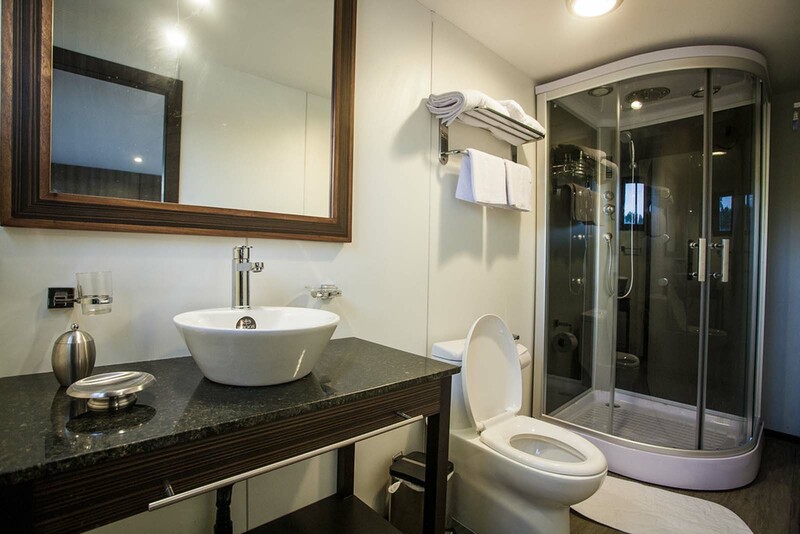 The pleasant common areas include an expansive observation deck, outdoor Jacuzzi, bar-saloon, boutique, solarium and al fresco lounge, ideal for cocktails, reading or simply enjoying the spectacular views. 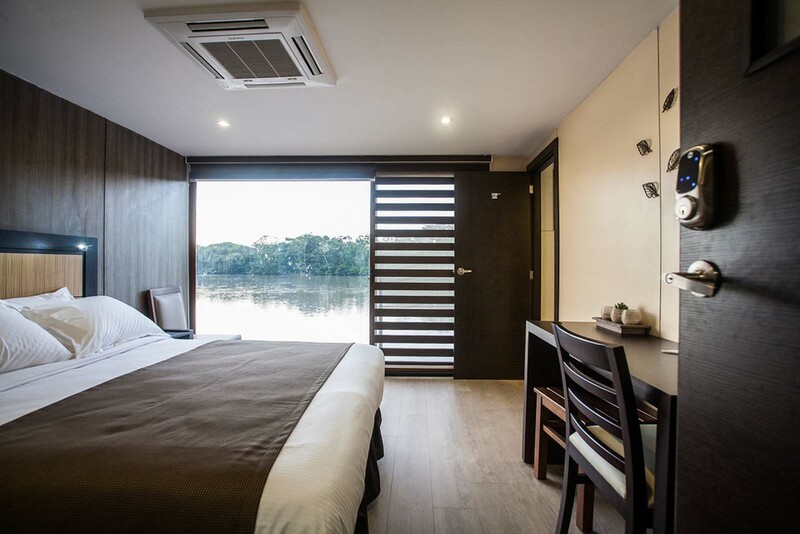 Add ten kayaks, three canoes for guest transportation to land excursions and hammocks plus naturalist tour leaders and a travel concierge to personalize your experience and you have the best of all Amazon River cruises. You’ll enjoy tropical versions of Ecuador and international cuisine, made with fresh, exotic ingredients that most passengers don’t encounter at home. Experience the natural world without roughing it on this blissful and stimulating Amazon vacation adventure. Weekly departures. Please contact us for availability. Safety : GPS tracking by the Ecuadorian Navy, Radio communication with separate battery pack, satellite phone, life jackets, flares and signals, fire extinguishers, sprinklers and smoke detectors in each cabin, automatic defibrillator on board. Launch Boats: Three fiberglass ecologic canoes equipped with four-stroke low emission engines; constant radio communications with the main vessel. Each canoe has a capacity of 30 passengers. Crew: 20, including a purser, paramedic, 4 English-speaking naturalist guides, 4 native guides, Captain, concierge and crew members.